Missing a tooth isn’t just bad for your looks; it can be bad for your health as well! Healthy teeth play an important role in the body from head to toe. When you are missing one, your jawbone deteriorates, your self-esteem suffers and so does your diet, which negatively affects the health of your entire body. Dental implants look, feel and function just like natural teeth and are widely recognized as the best replacement method. Our bodies are truly amazing – their ability to coexist with a variety of native and foreign materials means that our treatment options, as oral surgeons, are constantly expanding. “Osseointegration” refers to the fusing of bone with an artificial material. Its origins date back to the 1940s and 50s, when Swedish physician Per-Ingvar Branemark discovered that titanium fuses so well with bone that it is nearly impossible to remove! Since then, the biocompatibility of titanium has proven itself to be amazingly reliable over and over again. Dental implants are made of titanium. A completed implant includes three pieces: the implant itself (a titanium screw that is placed in the jawbone), the abutment (a connector between the implant and crown) and the crown (the part that is visible and looks like a tooth). Dr. Bernstein, Dr. Hanratty, Dr. Wise, Dr. Sterio, Dr. Sabra, Dr. Lock and Dr. Reiser will place the implant and the abutment, and the crown will be completed by your general dentist. You may be surprised to hear that your jawbone is a lot like a muscle, in that it must be stimulated regularly in order to maintain its volume. Therefore, when a tooth is extracted (or falls out naturally), the jawbone begins to deteriorate almost immediately. In fact, studies show that within a year of tooth loss, there is a 25% decrease in bone width. Thankfully, dental implants can take the place of natural teeth to provide the stimulus needed by the jaw. If done early, this greatly reduces the need for bone grafting down the road. Are you considering a bridge or a dental implant? While the upfront cost is often more than that of alternatives such as bridges and dentures, dental implants outlast those approaches by several decades. This increased longevity makes implants the more affordable choice in the long run. 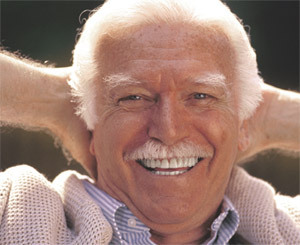 For further information, visit our dental implants cost page. Consultation and Treatment Plan: During the initial phase of the dental implant process, imaging is gathered along with your medical and dental histories to give us a clear picture of your current health. We will then explore your treatment options with you to formulate a plan that ensures that both your health goals and budgetary needs are met. Extraction: The next step is to have the tooth in question extracted. In some cases, we may be able to place the implant at the same time of extraction. In others, bone grafting will be required prior to implant placement (see next step). Bone Grafting: It is fairly common for the jawbone to lack the mass needed to accept an implant. In this case, a bone graft will be performed first to strengthen the target area. Bone grafting is typically followed by several months of healing before the implant can be placed. Dental Implant Surgery: During the implant procedure itself, a titanium screw is inserted into your jawbone. You will be anesthetized for comfort during the surgery, which takes about 1-2 hours. Osseointegration: After placing the implant, we cover it with the surrounding soft tissue and let it sit for 3 months in order to fuse with the bone. Final Restoration: After osseointegration is complete, an abutment is placed on the implant to connect with the final crown restoration. Typically, the final restoration is done by a general dentist. For more information, please visit our dental implant FAQs page. At The Perico Group, we are proud to offer a safe, comfortable and affordable dental implant experience to our patients with the help of cutting-edge technology and utilization of the latest techniques. Call us at Swampscott Office Phone Number 781-596-2220 to get started on your journey – we are here with the support, guidance, and expertise you deserve.